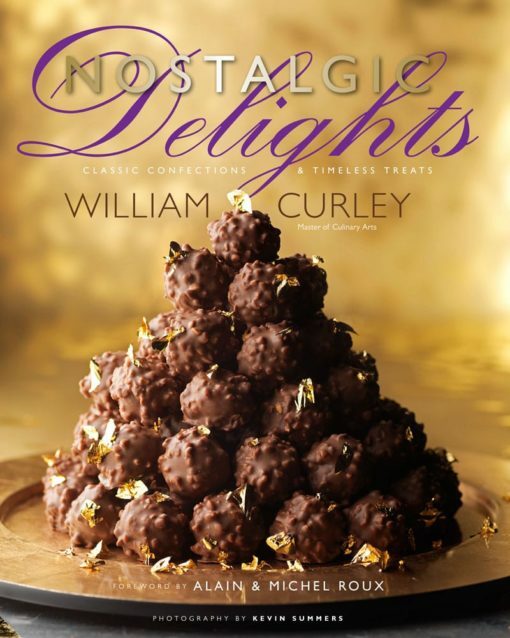 Creating top-quality confectionary, cakes and patisserie is often seen as something only a trained professional can do, however with patisserie equipment now easily accessible to all, William hopes to produce a book where the reader can create at home and evoke their own nostalgic memories. William’s ethos centres around using the best ingredients and techniques available, while making it accessible to the home cook. Some recipes are simple to make with minimal ingredients, such as the Hazelnut Rocher and Bakewell tarts. During the 70s and 80s, the convenience food market boomed, and changed the image of many iconic dishes. William recreates the decadence once again in many of these recipes, such as a Black Forest Gateau or Blackcurrant Cheesecake. The book also touches on the comfort food that most of us grew up with, whether it be a Jammy Dodger, an Arctic Roll, or a Banana Split, William takes these to a whole other level!